No, not the brand of water. An actual geyser. An accidental, man-made geyser formed by a drilling attempt to find oil in 1935. 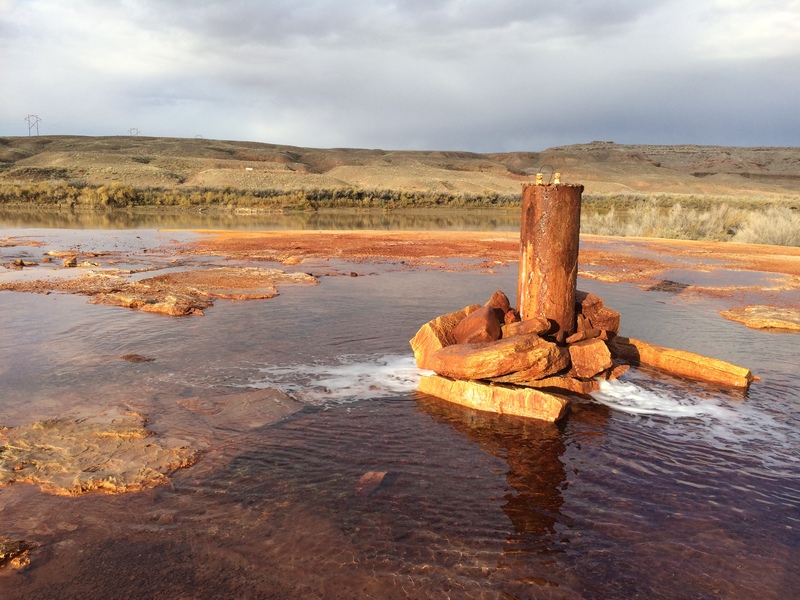 The Crystal Geyser, located just a few miles south of the small town of Green River, Utah, was a rare cold water carbon dioxide driven geyser—it did not have any geothermal activity. I say was because it doesn’t erupt anymore. Prior to 2014, it was said that ~66% of the eruptions occurred about 8 hours after the previous eruption, and the rest about 22% after. Eruptions lasted 7-32 minutes, or 98-113 minutes. But now, due to stupid tourists clogging up the geyser with rocks, the geyser no longer erupts. Instead, Crystal Geyser now bubbles perpetually and occasionally spurts out a vertical foot of water. I only discovered the news of the now-dormant geyser while overnight camping beside the geyser. After 12 hours of waiting in our trailer and only witnessing random gurgles, I looked up the latest report on the geyser and sadly read about its current condition. At least Crystal Geyser is located on BLM land. 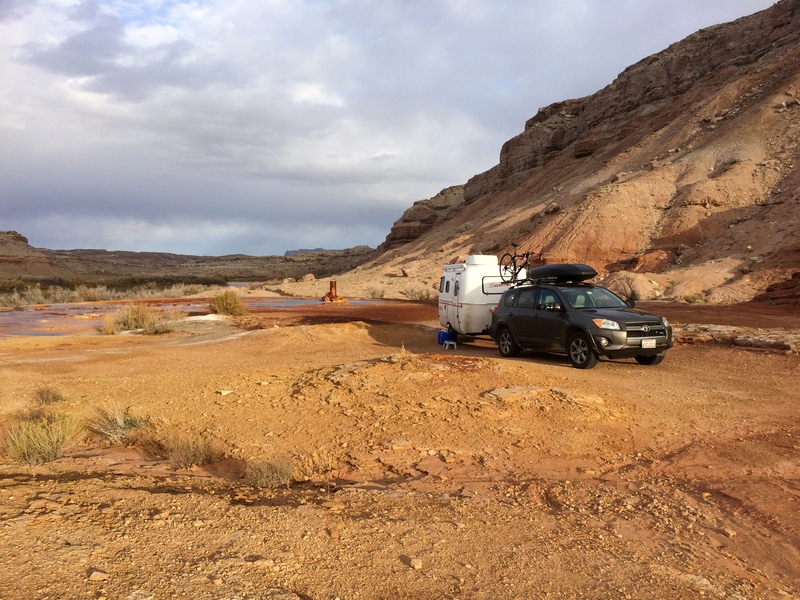 Numerous free and decent campsites surround the geyser, and the mineral springs that are constantly flowing into the Green River provide a gorgeous setting of bright orange travertine. 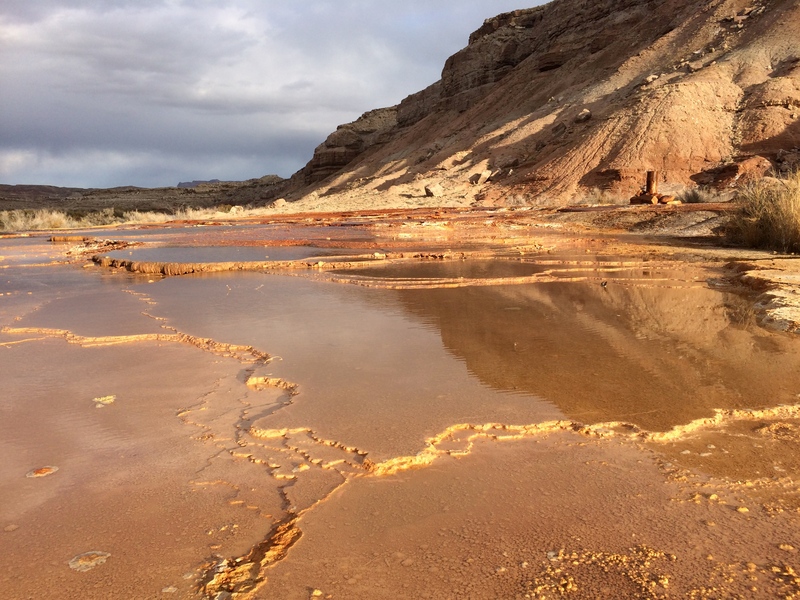 Adjacent to the orange travertine are white deposits of travertine. 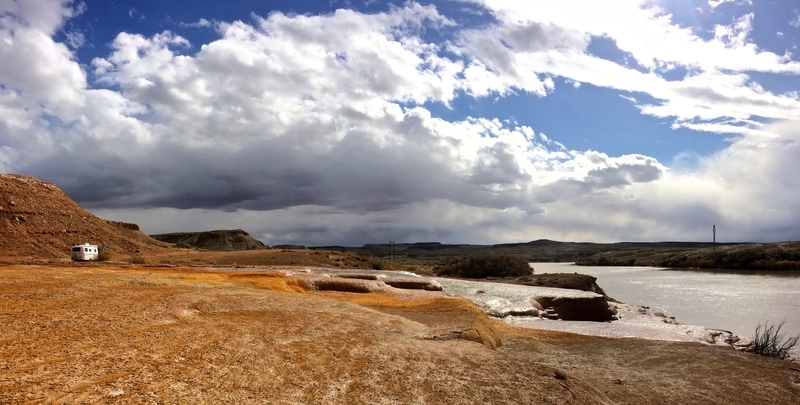 With a rare storm rolling into the area, we were granted gorgeous scenery. 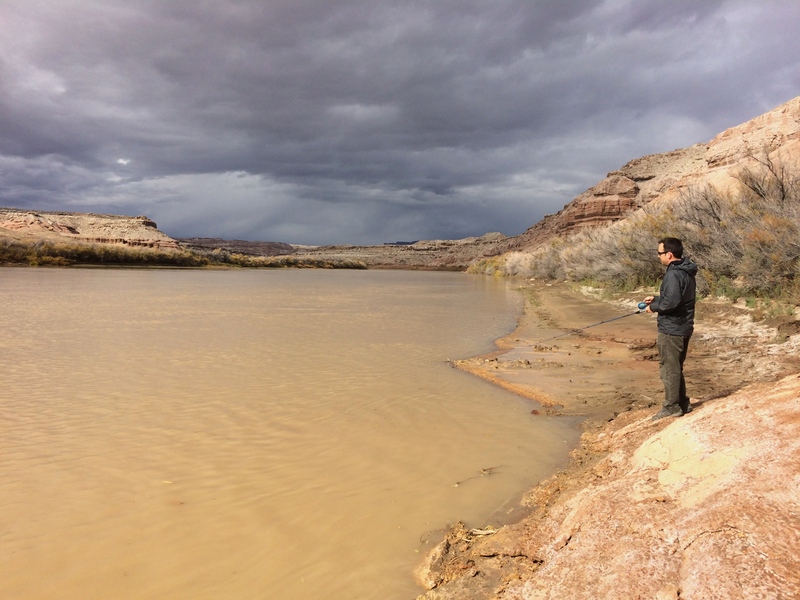 We even cast a few lines into the murky Green River. I didn’t think there were fish near the geyser spring deposits, but it was worth a shot. Crystal Geyser is not worth driving a far distance to see, but if you’re passing through the area and need a free place to spend the night, definitely check it out. Not only is it free, it has an interesting history and a unique landscape.